C Fly Marine has training in the field of Finite Element Analysis (FEA). Our engineers all have an understanding and can perform FEA analysis on many different types of structures. We also have experience submitting FEAs for review by regulatory bodies, mainly ABS. 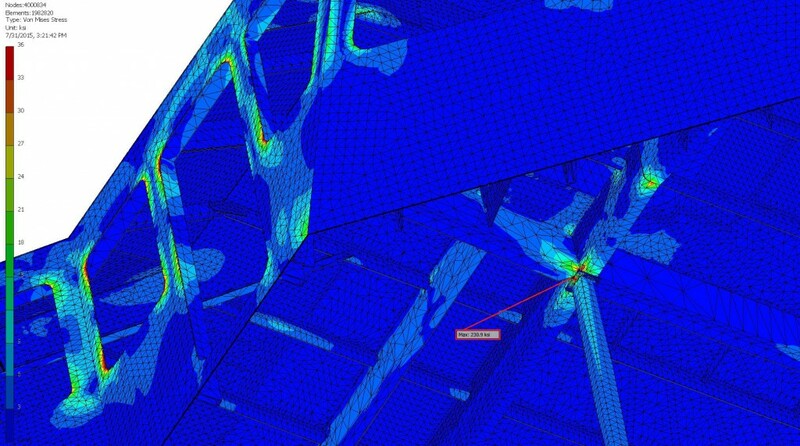 If first principle analysis isn’t enough to guarantee safety, then a FEA program must be used. At C Fly we use ANSYS for Autodesk Inventor as well as RISA 3d for basic structures.